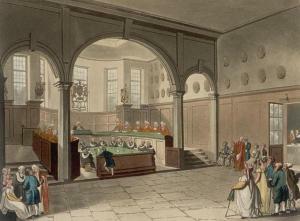 England has several different kinds of ecclesiastical courts. These use religious law, such as the Islamic sharia, Jewish halakha and Christian canon law. Church of England courts are now restricted to internal church matters, but not the others. In 2012 a bill was put before the UK parliament that would forbid sharia courts to claim official sanction as arbitration tribunals. The state church of England runs a hierarchy of ecclesiastical courts where cases are decided in accordance with its own church laws. These took over from the religious tribunals set up by the Catholic Church during the Middle Ages, the most notorious ones being the Courts of the Inquisition. However the Protestant reformers didn’t adopt the Catholic canon law for use in their own courts, because this derived from decrees by popes and church councils. After the Reformation, therefore a new start was made. In 1604 King James I approved 141 canons, and this small collection was not revised for more than two centuries.) These are known as the Canons of the Church of England. Until well into the nineteenth century, the English state church was allowed to issue rulings agains the public based on this new canon law. Church of England courts probated wills, appointed administrators, ruled in questions of legitimacy, heard charges of defamation, enforced the payment of tithes (even by non-Anglicans) and handed down judgements on people’s marriages. A major change in the marriage laws occurred when the English Reformation led to the possibility of divorce. Martin Luther had declared marriage to be “a worldly thing...that belongs to the realm of government”, and Calvin concurred. The English Puritans put this into practice, making marriage purely secular. In 1644 they passed an act in parliament asserting “marriage to be no sacrament”. It was no longer regarded as indissoluble and divorce became possible. And in 1653 they voted that it be no longer performed by a minister, but by a justice of the peace. However, even a second marriage act failed to transfer divorce and annulment cases to the temporal courts and this made it easier to turn the clock back after the Restoration. Church of England clergy have asked for all the employment rights enjoyed by other workers except one ― the right to refuse to work on Sundays. To counter this, the Church of England successfully claimed in 1997 that clergy were not employed by the bishop but by God, and one can’t take Him before an employment tribunal. When the church had to drop this in 2008 it switched to arguing that clergy are not “workers” but “office holders”. This manoeuvre, if successful, would also protect the church against legal liability for clerical abuse. Like Church of England courts in earlier times, the other ecclesiastical court systems still preside over laymen, and still focus on marriage. Thus the Orthodox Jews have beth din (house of judgement) courts, Muslims have sharia courts and Catholics have diocesan and archdiocesan courts located in Britain and higher courts in the Vatican. Some of the features of sharia law which cause concern are listed below, and many of these are shared to some degree by other systems of religious law. ― Secular laws get their authority from upholding human rights and being voted in by a democratic legislature. Sharia does not. ― Sharia court decisions are generally not published or even made open to public inspection. It is reported that the English Ministry of Justice didn’t manage to get access to records of sharia court rulings. This hinders the growth of a legal consensus, allowing sharia judgements to lack consistency. He was apparently hoping to replicate in the UK what had initially succeeded in Canada. In 1991 the Canadian Province of Ontario was looking for ways to ease the burdens of a backlogged court system. It changed its Arbitration Act to include “faith-based arbitration” – a system where Muslims, Jews, Catholics and members of other faiths could use their religious law to settle family disputes such as divorce, custody and inheritance outside the court system. Although the system was “voluntary”, with both parties, (husband and wife) agreeing to go through the process, the decisions rendered by the tribunal would have become binding and could be enforced by the Canadian police and courts. That’s when the Muslim lawyer Syed Mumtaz Ali who was advocating sharia arbitration courts for Ontario made the mistake of laying his cards on the table. In 2003 he claimed that once Islamic-based arbitration was available, all “good Muslims” would be expected to have family matters resolved only in sharia courts, and no longer use the secular courts. Faced with the prospect of religious compulsion and a parallel system of justice, in 2005 Ontario banned all legally recognised religious arbitration. Under sharia law a man may divorce merely by repeating his wish to his wife on three occasions. However, a woman can only divorce if her husband allows, or if a sharia court gives its consent, which is often withheld, even when violence against her is proven. Because the word of a woman is worth only half that of a man, she needs more witnesses. The imams say this causes them more work and therefore she must pay more for a divorce. She loses custody of her sons to the father as soon as they are old enough to feed, dress and wash themselves, in other words, when they won’t cause him much work. In sharia their welfare is not paramount as it is according to the British Children Act. This restriction is essential because of the vulnerability of the immigrant Muslim women who use these courts. There they are deprived of the safeguards of the secular law and even of the lawyers who usually represent the parties in commercial arbitrations to protect their rights. Yet a guide for business people cautions against agreeing to any arbitration rules other than the law of the land. “Be warned, the parties CAN agree to go outside the law but then they are putting all their trust in the arbitrator.”  If even business people with lawyers are advised to be wary of a secular arbitration procedure, what chance have immigrant women in a patriarchal subculture who believe that the imams’ judgements are legally binding and even reflect the will of Allah? Even one of the highest Catholic courts at the Vatican has been found to fall far short of modern legal standards. In a case that came before the Roman Rota in 1988 witness statements were not provided to parties, thus depriving them of an opportunity to comment on them. The parties were not told that they could appoint lawyers to appear for them, nor advised of the terms of the legal submissions made by the canon lawyer appointed by the court to argue against annulment. Finally, the parties were not allowed to see a full copy of the Rota’s judgment, in which the ecclesiastical court set out its reasoning. The Archbishop of Canterbury was not about to protect vulnerable Muslim women by keeping their oppressors from hiding behind religious law. After all, His Grace runs his own religious courts. He even tried to frighten people: “An approach to law which simply said ― there’s one law for everybody ― I think that’s a bit of a danger”. The privileged position of the Church of England, combined with its demographic decline, has left the other religious groups pressing for their share of the religious pie. The Muslims, as Britain’s fastest growing religious group, have taken the lead (and the flak) in trying to take advantage of the Arbitration Act. Other religious groups have been more circumspect, though this may be merely a matter of strategy. For over two centuries the courts of his own church were allowed to preside over marital disputes and it wasn’t until 150 years ago, that the Archbishop of Canterbury lost his legal right to meddle in people’s most private affairs. Yet now His Grace has expressed a sudden eagerness to let the imams do precisely that. Is it possible that his new-found enthusiasm for Sharia divorce courts might reflect a desire to get back into that business himself? 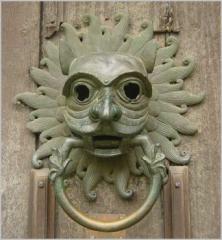 However, the Vatican’s moves elsewhere suggest that its display of reserve in England may just be a matter of strategy. In some other countries it has tested to moves in the direction of introducing canon law ― and the courts that go with it ― into secular society. ― Largely unrecognised in the English-speaking world (which lacks concordats) is the fact that these can serve as a vehicle for introducing canon law into society. A standard concordat clause insists that canon law be used in Church institutions, which, of course, includes church-run schools and social services. Through these canon law regulates the services offered and even the private conduct of lay church employees. And another standare concordat clause ensures that Church-run social services get the same funding as state ones, so that the taxpayer ends up paying for the enforcement of religious law. ― And finally, in at least two different parts of the English-speaking world the Vatican has been making little-noticed legal moves towards recognition of church courts. Three years later, in 2008 there was another legal probe, this time in New Zealand. The isssue was whether, for the purposes of the New Zealand Privacy Act, Catholic courts are to be treated like the state courts that are enacted by parliamentary statute (that is, are “statutory”). The Catholic Church of New Zealand argued that they should be because, though non-statutory, they nevertheless act judicially. The Church hoped to get its courts accorded the same privacy as statutory courts, where there is no disclosure of personal information, transcripts or minutes of the proceedings. However, the judge didn’t accept the argument because, as he said, they are not constituted by law (through a parliamentary statute) and they do not follow the rule of law (which includes permitting cross-examination and allowing parties access to the evidence put to the tribunal). The judge also rejected the idea that disclosure of the proceedings of church tribunal would violate religious freedom. This looks like a strategic decision to retreat, rather than suffer a defeat. However, the Vatican famously “thinks in centuries” and will doubtless try again ― and again. Meanwhile, in places like Britain the threat will be overlooked because “it can’t happen here”. It may take another generation, one that has attended the increasing numbers of religious schools in Britain, before it finally does “happen here”. Religious arbitration is not confined to the UK: see "In Religious Arbitration, Scripture Is the Rule of Law", New York Times, 2 November 2015. 5. “Georgian & Regency Divorce” 25 April 2010. The customary route, which requires seeking both parliamentary approval and royal assent, is a two-step process. 26. Jack Straw (Secretary of State for Justice) in answer to a question by MP Grieve, Hansard, 24 November 2008. Arbitration is not a system of dispute resolution that may be used in family cases. Therefore no draft consent orders embodying the terms of an agreement reached by the use of a Sharia council have been enforced within the meaning of the Arbitration Act 1996 in matrimonial proceedings. 28. NA v MA: When is an Agreement Not an Agreement? 33. “Are Sharia councils failing vulnerable women? 35. Pellegrini v. Italy, 2001-VIII, Application No: 30882/96. 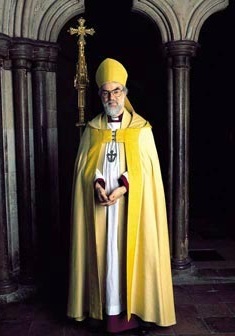 “Pope’s gambit could see 1,000 quit Church of England”, Times, 21 October 2009.